Article on Music of Changes at the John Cage database. Photo Credit: Steven Gunther Few artists have as strong an influence on their fields as John Cage. Cage may best be considered as a "polyartist," an invented term for one who has excelled in numerous unrelated artistic fields; in this case: music, theater, literature and visual arts. In his eminently readable book, "John Cage (ex)plain(ed)," critic Richard Kostelanitz writes that Cage's "principal theme, applicable to all arts, was the denial of false authority by expanding the range of acceptable and thus employable materials, beginning with nonpitched "noises," which he thought should be heard as music 'whether we're in or out of the concert hall.'" To this end, Cage developed and explored a number of devices, all remarkably original, from the prepared piano, a piano whose strings have been altered with all manner of devices and thus produces sounds unexpected from such an instrument; to the addition of chance to the composition process (as in Music of Changes) or the performance itself (as in, among others, his work for twelve radios, Imaginary Landscape); to the glorification of simultaneity a la Ringling's three ring circus - in works such as Europera. In works such as these no one event has any more importance than any other event; meaning can only be construed at the listeners will. Cage was interested in creating a work that left no trace of the composer on the music to acheive this he turned to chance operations. 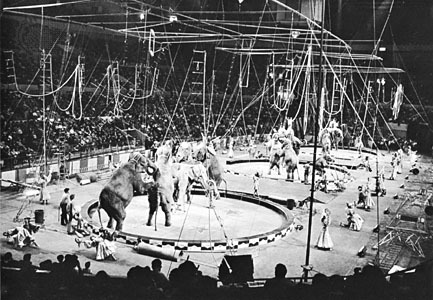 Music of Changes was perhaps Cage's most complete use of chance elements in composition. He consulted the I Ching, the Chinese "Book of Changes," for all musical decisions inclding pitch, density, duration and tempo. 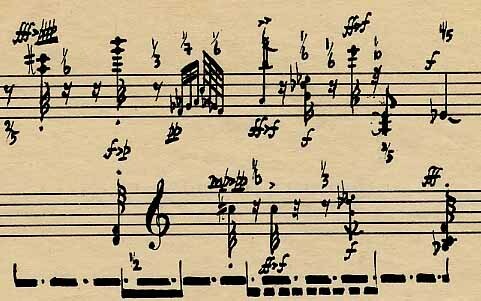 Furthermore, Cage conceived of the entirety in a durational notation, in which musical time was expressed by space on the page: every measure of 4/4 equaled 10 centimeters. At times, the coin tosses would lead to impossible or irrational results: at those times, Cage asked for the perormers discretion. The forty-three minute, three movement work is incredibly demanding. With the death of its first champion, pianist David Tudor, who stopped performing the work in the 1950s, it is seldom performed today. Taken as a whole the work proves to be a series of movements and gestures in which sounds are allowed to "be themselves." In the Zen spirit - Cage was quite impressed with Zen philosophy and studied with D.T. Suzuki at Columbia University - the work becomes not a vehicle of thoughts, but rather only events. To learn more about the I Ching, click here. 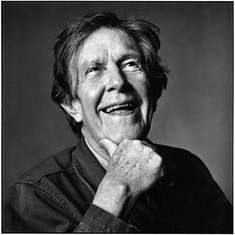 John Cage on the Television Show "I've Got a Secret"
All text © Todd Tarantino 2002-2012. Not to be reprinted without permission.